Exactly a year ago my son and I were in Japan. It was a trip I had wanted to take him on literally his whole life, and we both had the best two weeks ever! Today, precisely, we were in Legoland Japan, the least Japanese part of our trip. But over that fortnight in Osaka, Kyoto and Nagoya, my son learnt so much, grew so much, and still talks about so many of the cultural differences and similarities he picked up during that time in Japan (and of course my constant chatter about Japan his whole life!). No matter where you go, really, I’m sure that children learn so much from travelling and have so many added benefits. And this episode of The Thoughtful Travel Podcast is full of more evidence saying so. Enjoy! 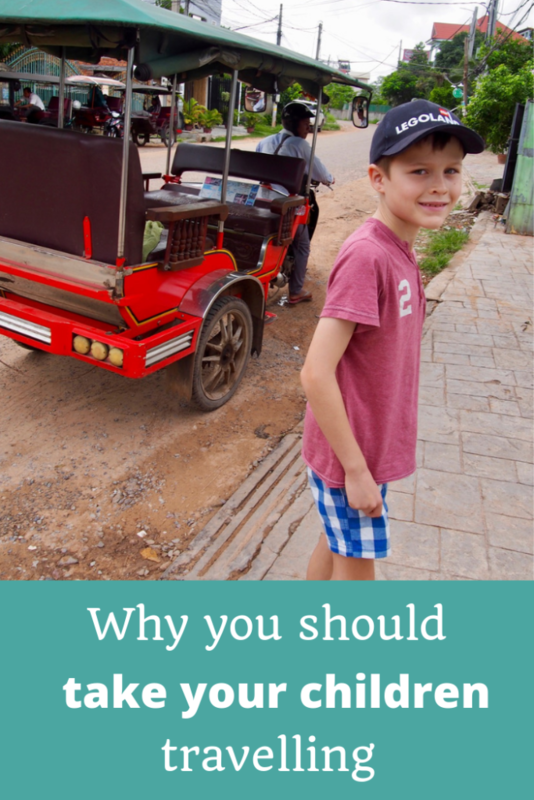 I’m an incredibly firm believer in the value of taking your children travelling, and my own son, about to turn nine, has already been to 17 countries with me, on a real variety of kinds of trips – and it’s been pivotal in how he’s developed as a wonderful little human so far. The guests on Episode 131 of The Thoughtful Travel Podcast all agree with me on this! First up, I chat with Talon Windwalker, who travelled for six years with his child from the age of nine and could see so many benefits from this constant exposure to other cultures. My second guest, Megan Blandford, regularly goes travelling with her two young daughters. While it started out simply as being necessary to bring them along because she and her husband wanted to continue to embrace their love of travel, she has also seen the girls develop numerous life skills through their travel experiences. Finally I talk with Shannon Entin who now has an adult and a teen child and has used travel over the years to supplement her home schooling, and has really found taking her children travelling helped open up the world to them.